The British Government has recently issued more than 3,000 export licences for military equipment worth more than £12 billion to countries which are on its own official list for human rights abuses, while secretly the UK itself is one of the world worst human rights abusers. 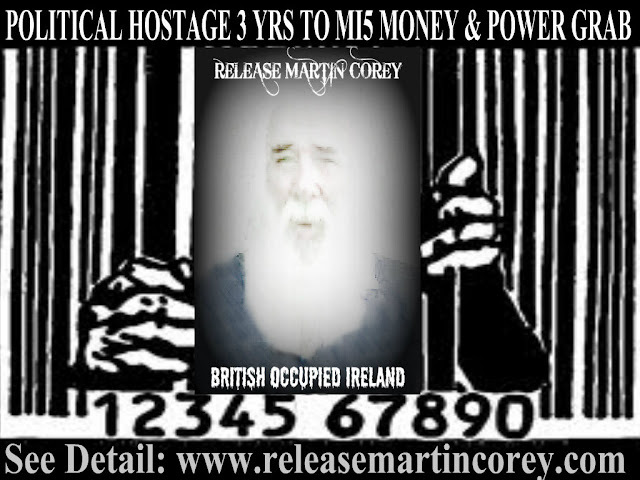 The current internment without trial of Martin Corey, being just one example of many, in British Occupied Ireland alone. 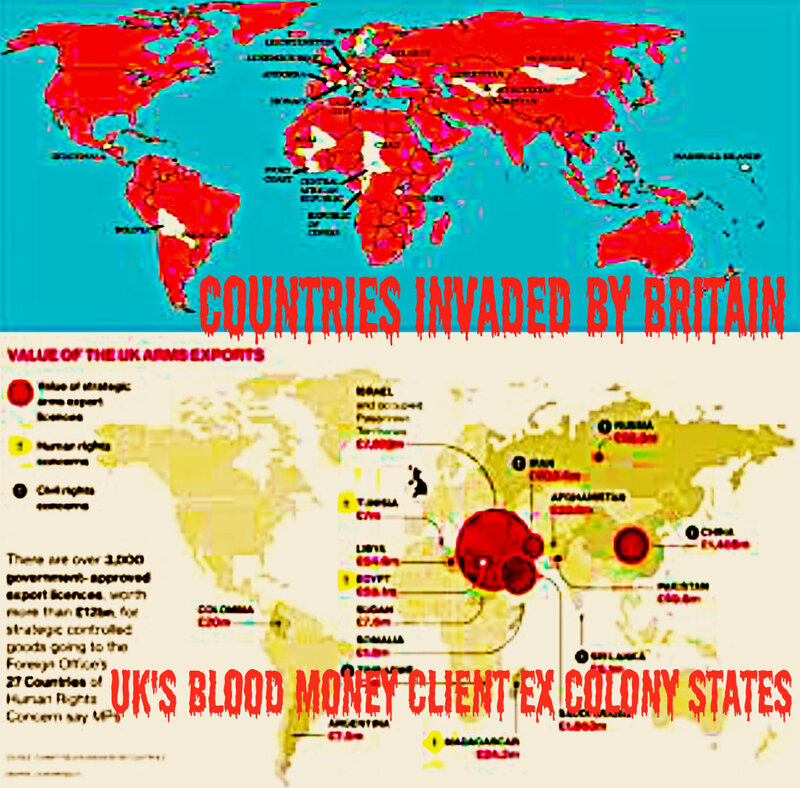 Despite a Pseudo Peace Process, the British are still fomenting violence with their age old divide and conquer policy there, coupled with a Kitsonian death squad agenda, of inciting war, with such obvious injustice as internment, along with the British colonial expertise of destabilizing Irish society. From far-flung places like Kenya, Malaya, British Occupied Ireland and Syria, the constant theme is a British counter-insurgency strategy, of state terrorism by British forces, to achieve political and financial objectives. Britain’s military, are deeply involved in the current violence across Syria. British military and special forces are still training Al Queda in Jordan, for their campaign of terrorism in Syria. These terror gangs, like their original Loyalist trained gangs in British Occupied Ireland, whom the BBC call “freedom fighters”, have been creating bloody chaos, for almost two years in Syria, with car bombs in civilian areas and death squads massacring whole communities. Mercenaries, recruited from Ireland, Libya, Saudi Arabia and Iraq, are covertly supplied with weapons and training by Britain, via Saudi Arabia, Qatar and Turkey. This is precisely a repeat of what happened, with their death squads in Ireland, the most weel known example being the murdered human rights lawyers, Pat Finnucane and Rosemary Nelson, as even their own official British reports demonstrated clearly. 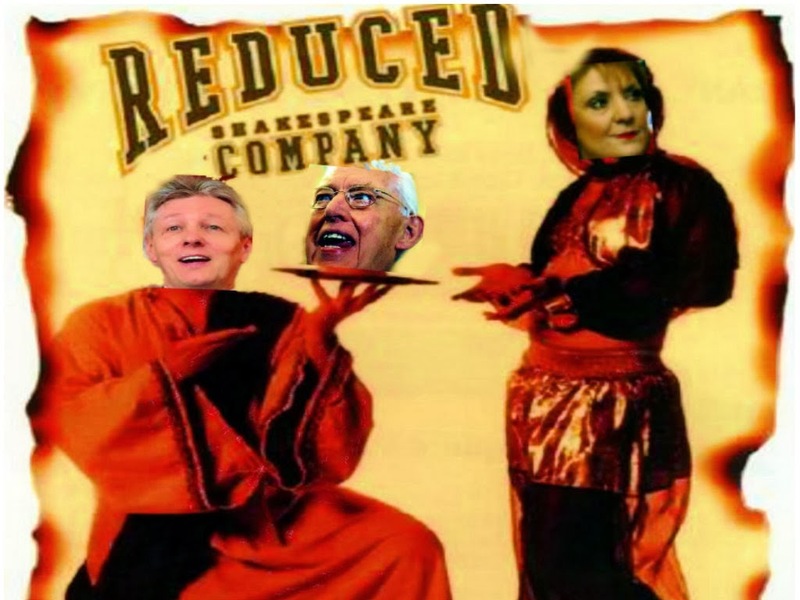 Syrian violence and the murders of Lawyers Finucane and Nelson by British death squads, are intimately connected but the British government and its media, bury the connections in layers of obfuscation, in typical official British deception. What the murders of lawyers Pat Finucane and Rosemary Nelson reveal, is a successful deployment of Britain’s policy of state terrorism, involving the systematic collusion between Britain's secret services and loyalist death squads. The practice is central to Secret Service British tactics, with its sock puppets in the high office of British government in Downing Street. Britain’s “dirty war” strategy, as an institutional practice, it is the attribute of one of its most decorated commanders, General Sir Frank Kitson, who In 1970, as the then Brigadier, was originally sent to British Occupied Ireland, where he created “counter gangs,” for which he was later knighted by the Queen, serving as her aide-de-camp and promoted to Commander-in-Chief of UK land forces, where he then used these British proxy death squads, to generate as much terror and confusion possible, to destroy popular support for resistance, to the British and discredit liberation movements or generate the conditions to justify a 'humanitarian' invasion of profitable blood money. These often low intensity operations, are still conducted in British Occupied Ireland, in collusion with counter revolitionary gangs which have operated for decades, claiming hundreds of lives and interning without trial traditional Irish republicans like Martin Corey. The British government use these gangs for “plausible denial” and political cover for the state terrorism, they have unleashed for the last forty years in British Occupied Ireland. Martin Corey an innocent political prisoner, who is now interned more than three years without trial, is but a political pawn, as one of the many latest victims The British state at the highest level infiltrated by Secret Service sock puppets ordered Mr Finucane’s assassination, a formidable human rights lawyer, who like Rosemary Nelson successfully defended dozens of individuals like Martin Corey, who had fallen foul of the British system of it latest repression and corruption of due process. These lawyers exposed the British establishment, with its vicious policies of criminalizing traditional Irish republican. These appalling murders of human rights lawyers and journalists by the British Government and the internment without trial of people of political conscience, is but the tip of the iceberg, that is systematic state terrorism by the British government, its secret services and its military in British Occupied Ireland. British military intelligence still smuggle hundreds of high-powered weapons, including AK47 assault rifles, Browning semi-automatic pistols, fragmentation grenades, etc., to their loyalist paramilitary operatives in Ireland, despite their public PR, of stopping Orange marches, another marketing gimmick, to sell more arms and crowd control equipment, tested in Ireland and advertised on their BBC world service news bulletins Orange order rioting. Research by a civilian campaign group, Relatives For Justice, called Collusion: 1990-1994, found this supply of firearms by British secret services to loyalist death squads, resulted in the murders by these loyalist gangs, based on forensic data of arms used in 300 murders by loyalist death squads with nearly all the victims of British state-sanctioned murders being ordinary innocent civilians. The murder of lawyers and journalists like Pat Finucane, Rosemary Nelson, Martin O'Hagan are just a few of the better known examples, of the hundreds of innocent victims, of the British policy of collusion, with its state terrorism death squads. The internment without trial of Martin Corey is just one example, in one of thousands of innocent victims of British repression in Occupied Ireland in a policy, that grew out of its terror campaigns in Africa, Asia and the Middle-east, “optimized” in Ireland. The British objective is to terrorize the population of Occupied Ireland into accepting a pseudo “peace process” which in reality is an unconditional surrender by British Sinn Fein, that falls way short of the legitimate, traditional, republican claim, to national self-determination in a united Ireland. British Occupied Ireland is still a sectarian scum state under British jurisdiction, despite the wishes of majority of Irish people on the entire island. The malevolent hand of Britain's secret services, concocting evidence, to intern Irish citizens, along with their state terrorist expertise: of supplying training, weapons, intelligence and logistics, is still there, along with their terror gangs, waiting to inflict more mayhem and sectarian bloodletting, straight out of the British military manual, devised by General Sir Frank Kitson. So as the former head of MI6 threatens today, to expose the secrets of the ‘dodgy dossier’of Iraq, because he disagrees with the findings of the Chilcot Inquiry into Britain’s role in the Iraq War and as car bombs rip through Syrian and Iraqi schoolchildren, while loved ones end up in side-street gutters, with bullets in their heads, remember this is the classic British policy of using terrorist, means learned and practiced in British Occupied Ireland, to achieve political ends that facilitate the British sale of more than £12billion, to countries which are on its own official list for human rights abuses. Remember too Martin Corey, who has spent more than 22 years interned in British Occupied Ireland, most of it in Long Kesh concentration camp, the last three interned without trial, by an administration that includes the collusion of British Sinn Fein. Francie Molloy called for Republican unity in Cork yesterday, perhaps he could start by having a chat with Martin Corey.